I love my beautiful Vietnam. 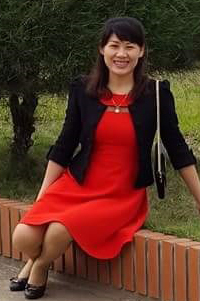 I teach Vietnamese in the Faculty of Foreign Studies, Maritime University. I am married with 2 children. My husband is also a teacher. My daughter is 15 years old, my son is 11 years old. We live in HaiPhong. My hobbies are cooking, shopping, and travel. I like to cook a lot of delicious food for my family. I like to travel to gain a rich understanding of the people, customs, and landscapes of our homeland and other countries around the world.